Pinellas County, Florida should be labeled one of the seven wonders of the modern world. It holds a wealth of rich experiences, fairly-priced restaurants, moderately competitive sports teams and breathtaking scenery. The jewel in the crown of the county, though, can be found right in its heart. On the central west coast, you can find the white sands of Clearwater Beach, a canvas painted with the bodies of tan beachgoers. While you’d really have a tough time messing up your stay, here’s an hour by hour guide from a native to help you make the most of your trip. 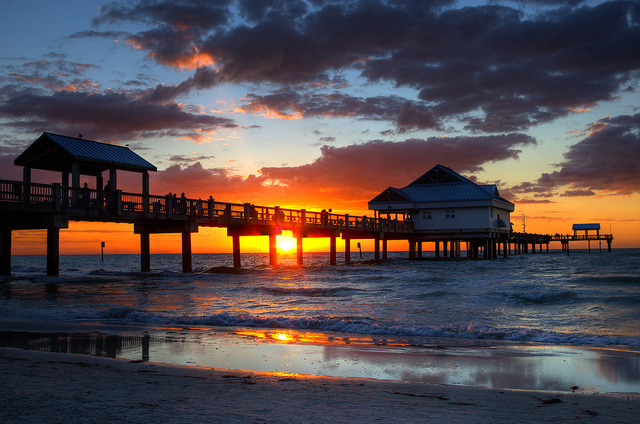 Check out these 24 things to do in Clearwater, FL in 24 hours. Start the day off right with an inspiring sunrise. 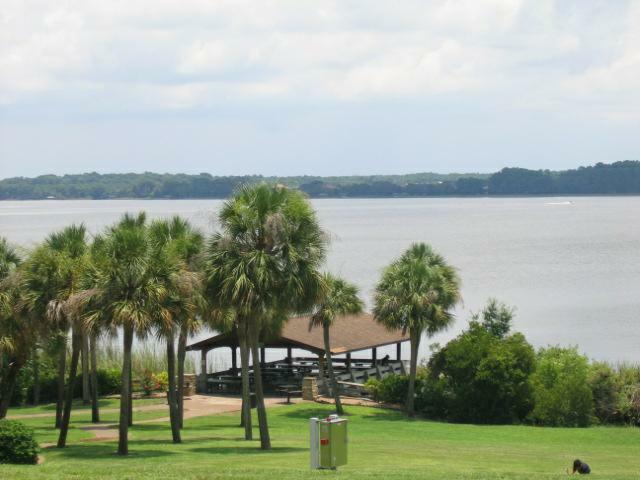 Lake Tarpon sits between Oldsmar and Palm Harbor, smaller towns sitting around Clearwater. It feeds into Tampa Bay, but most importantly it provides a wonderful vantage point from which you can watch in awe as the sun rises. The lake tends to stay quiet at 6 a.m., and Anderson Park on the western bank of the lake creates a comfortable atmosphere with its sheltering blanket of trees. Happy sunrise. Can one really call themselves cultured if they pass up the opportunity to have breakfast at Tiffany’s? Truthfully, I haven’t seen the Hepburn movie. I have, however, had the Beefy Benny at Tiffany’s restaurant in Palm Harbor. 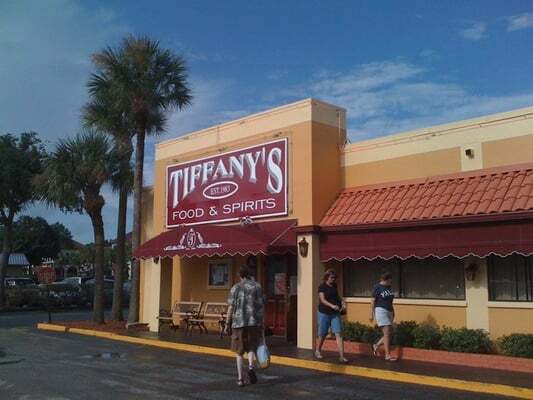 Only a short drive down US 19 from Anderson Park, soaking in the young day’s sun with some reliable coffee and uncharacteristically delicious scrambled eggs at Tiffany’s has to be a part of your day. Set against the eatery’s dining room, scantily clad with very few other patrons, you will enjoy the luxury of an attentive and kind waiting staff and speedy delivery of your order. As the saying goes, “the early bird gets the worm.” We don’t traffic in digesting invertebrates in Clearwater, but the saying still holds. 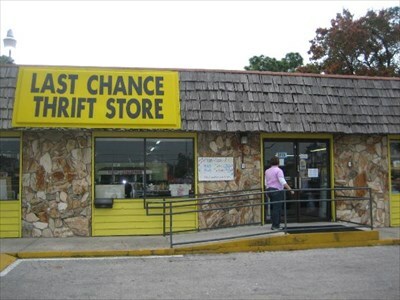 After breakfast, you can go to Last Chance, a thrift store that has saved many a young man in need of a suit. “If you’re really quirky, you can buy an outfit and wear it for the rest of your day,” said Jose Gutierrez, freshman at FSU and Pinellas local. The prices remain low and the service impeccable and browsing around at the start of your day will be a great way to kick it off with some laughs and possibly a great find. Get him (or her) to the Greek. The Sponge Docks harbor fame that extends beyond just Pinellas County, the area has become a center of Greek culture and has the restaurants and sponges to prove it. Grab some pastries and maybe a Gyro from Hellas Restaurant and Bakery and explore the Historic Sponge Docks. 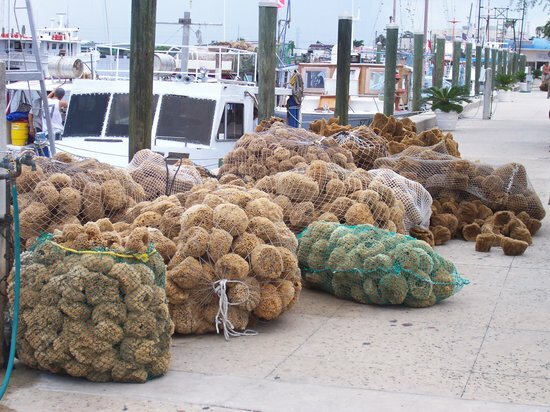 The Sponge Docks was once a small outlet used by those of Greek descent to scour for sponges in the Anclote River, now though they serve mostly to please tourists. You can even collect the homemade soaps and sponges, beach clothes, jewelry and other knick-knacks from the small businesses lining Dodecanese Boulevard. What better to do at 10 a.m. than to fire some drives across one of the most luscious golf courses in the state of Florida. 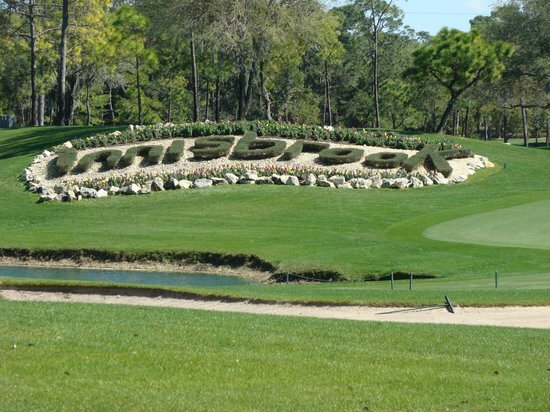 Innisbrook houses 18 professional-level holes for golfers to test their skills against. “Shoot for a birdie but remember that everybody gets a bogey every once in a while,” SPC Freshman Mary Velasquez said. Velasquez has a point—you might not have the best stroke but trying your hand at Innisbrook will definitely be a positive experience. Sure, you might immediately think of “old people” at my mention of the sport, but off-roading on the pristine putting greens of a world-class gold course with your friends make the experience one of the wildest of all time. Tired from swinging all those clubs around? Supplant your depleting reserves of energy with caffeine. 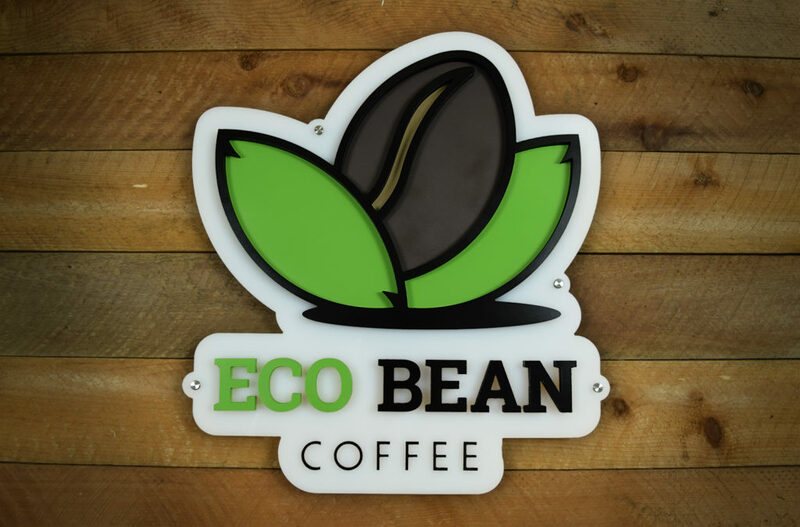 Stop by EcoBean, an environmentally minded coffee shop that can be counted on to pump your bloodstream full of stimulants while not pumping the planet full of pollutants. The store has proved to be a staple of Clearwater for me. I used to stop there in high school every week. While my regular customer discount likely won’t extend to you, this location always ran smoothly and provided phenomenal customer service . By noon, you’ll need a break from all of the epic sights of the morning. 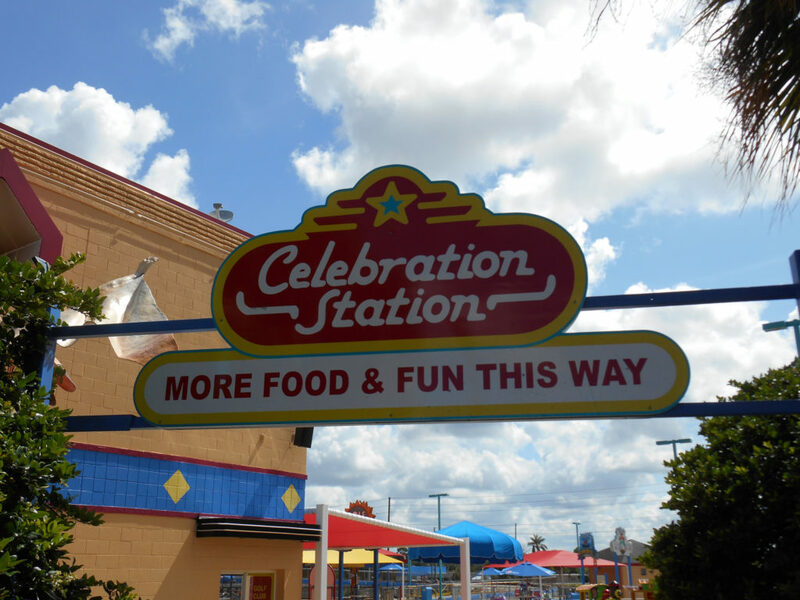 Luckily for you, further down US 19, on the way to Downtown Clearwater, you can stop by Celebration Station. “Ice cream cones for 50 cents, mini golfing and bumper cars. I’ll probably end up marrying a person, but if I were allowed, I would tie the knot with Celebration Station. I’m in love,” UF Freshman Will Hasell said. Hasell’s praise seems valid, though. The vanilla ice cream truly tastes like it has been dispensed straight from the personal machine of Ben and Jerry. This doesn’t touch on the opportunity to flex your Black Ops training in the laser tag arena, where you can defeat and proceed to dab on little Chris and his birthday party. Celebration Station should be celebrated. It has reached the time where you need to inject some more culture into your day lest you find yourself in a state of withdrawal. This time, treat yourself to a matinee show (usually about as populated as the Mojave Desert) at the Capitol Theatre. 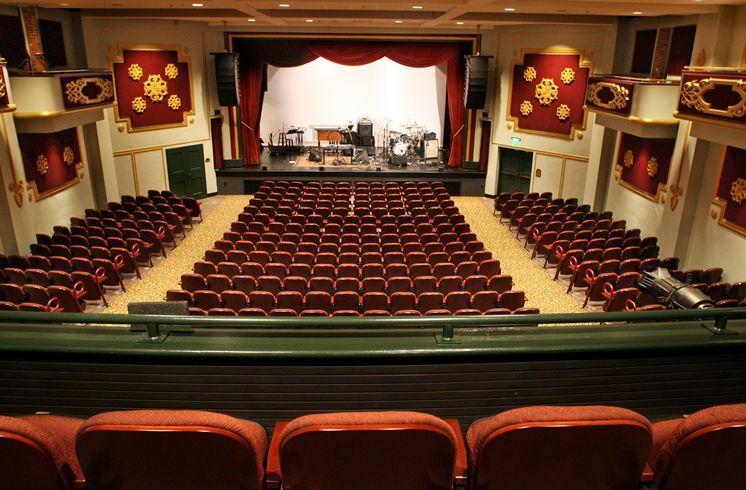 A beautiful and intimate venue in Downtown Clearwater, seeing a show at the capitol theater needs to be on your agenda. “I really love the atmosphere in the theater, no matter where you sit you feel so close to the action on stage. The bands and plays that come through never disappoint, but I really love the stand-up comedians.” Hasell said. The intimacy of the theater, as well as its beautiful architecture (um, did somebody say “Postmodernist-Victorian fusion?”), combine to make it a spectacular venue. This one, you do for the culture. Right in the heart of Downtown Clearwater exists the Mecca of Scientology, the Flag hotel. On Ft. Harrison Drive, you will see an abundance of scientologists parading the streets in uniform. 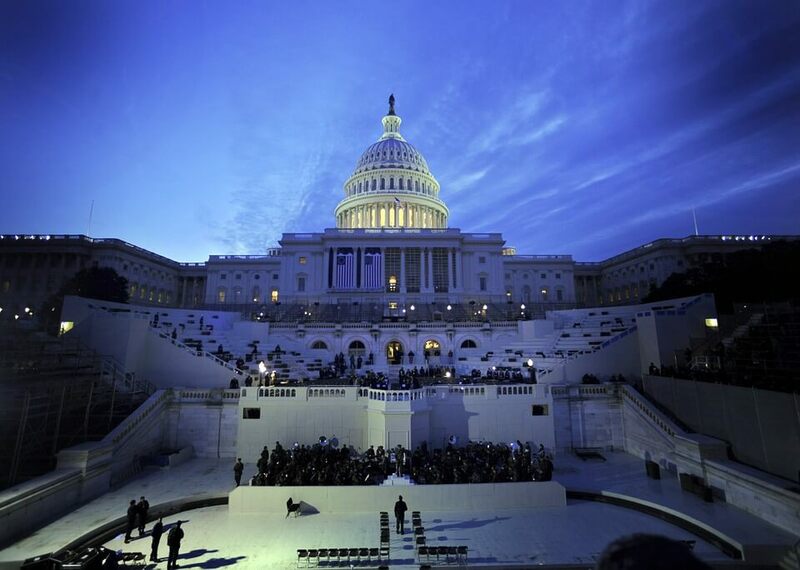 Scientology has been deemed a “religion,” at least in the eyes of the IRS. However, they demand inordinate sums money from their members and enforce rigidly their rather eccentric spiritual ideology. Of course, people should be entitled to believe what they choose, but one has to wonder… why? 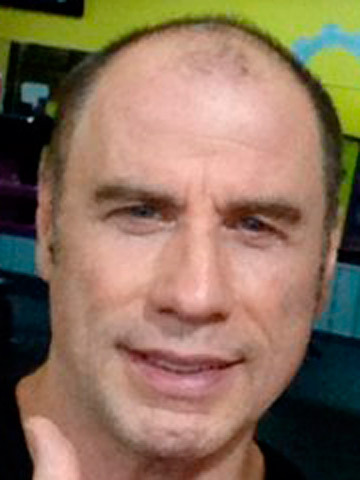 For more information, I will direct you to Leah Remini’s Scientology and the Aftermath series on A&E and urge you to be curious. Talk to some of them—you might even want to check out the flag. Be cautious though; if you spend more than an hour, you may be screwed. Cross the causeway bridge on the way to the beach, but stop in at the famous aquarium that provided lodging for Winter the Dolphin (yes, from DolphinTale). 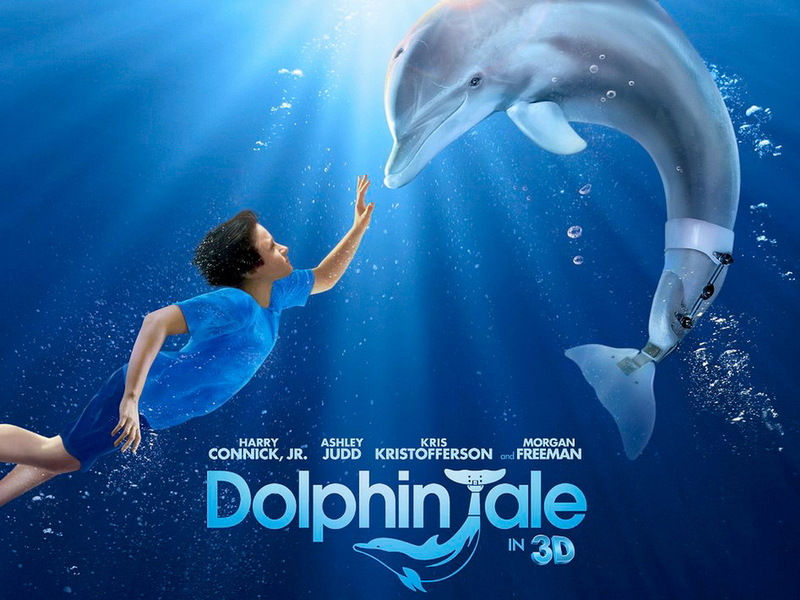 The aquarium holds a lot of hearts, and the traditionally awe-inspiring exhibits of starfish and sting–rays. Winter still lives there, which will be extremely touching and has a good chance of brining a couple tears to your cheeks. Plus, a movie was filmed there. That automatically makes it a must-see. 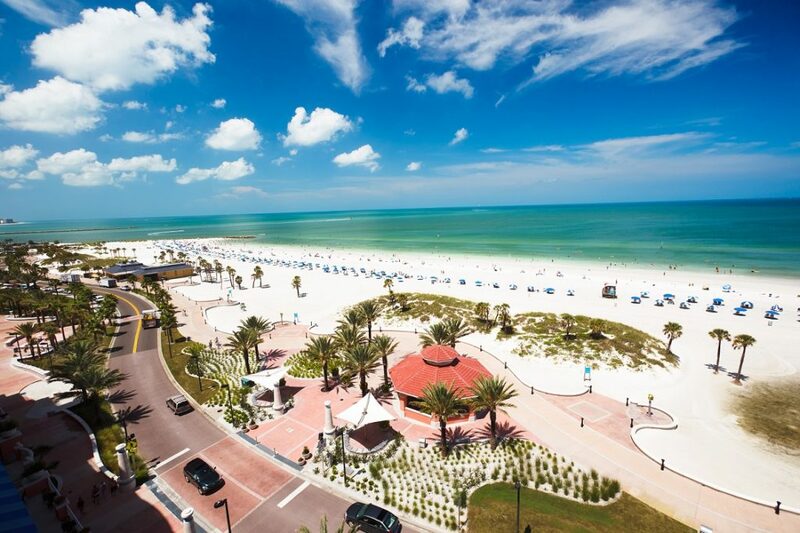 Can you really go to Clearwater without making it to Clearwater Beach? Rated by TripAdvisor to be the best beach in America, your time will definitely be well spent laying out and damaging your skin cells with that good UV radiation. Make sure you put on some sort of sun protection and try not to allow the relaxing pounding of sun rays over your body carry you off to sleep and a Larry the Lobster sunburn. Also, FISHING. That’s right fellas and fellettes, you can bring those sturdy poles down to the violently pounding waves and catch as many carp and sea bass as your talent allows. At some point, even if you’re a UV heavyweight, you’ll have to tap out. When you do, take a stroll down the beach walk. 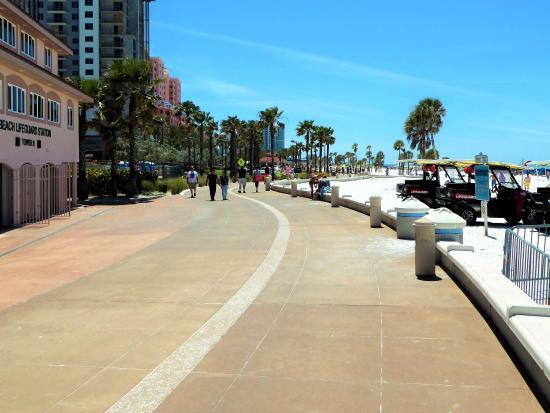 Still part of Clearwater Beach, the beach walk will allow you to traverse Clearwater’s entirety. It’s dotted with stores and restaurants, like the Spotted Donkey Cantina, where you will spot exactly zero authentic donkeys, or Baubles and Bags II, doubly perfect for all your bauble and bag needs. Consider whetting your appetite for dinner with an ice cream cone from Kilwins or trying to ride the indoor waves at Surf Style. Have you ever seen the ocean? Think that, but inside. Yeah, pretty epic, I know. Now you’re gonna be hungry after such an exciting day; not much works up an appetite like sweating. Have no fear, though, Frenchy’s is here. 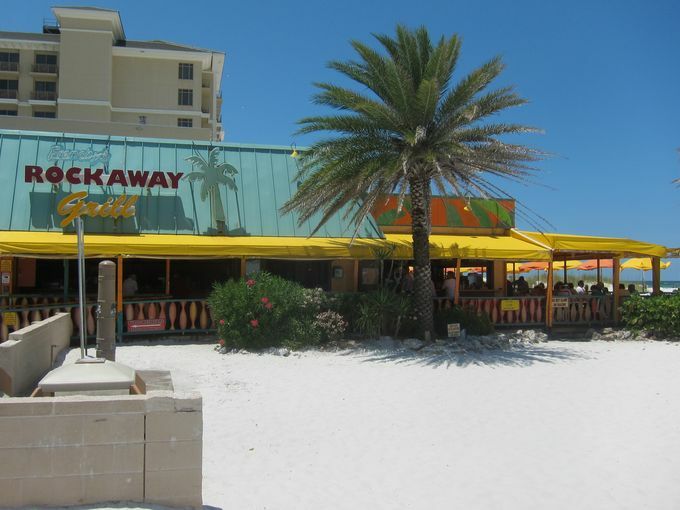 On Clearwater Beach, there exist four separate Frenchy’s restaurants to feed you. Oddly enough, they are actually all called Frenchy’s, but the northernmost one definitely reigns supreme. The menu mixes surf and turf (with an emphasis on the surf, because it is a beach after all), but the real draw of these restaurants can be summed up by a mediocre old Drake album: views. The water laps onto the shores of Clearwater with serenity, and the smell of shrimp in the background certainly adds to the experience. After dinner, the sun will be getting sleepy. Not you though, ever the Clearwater adventurer. 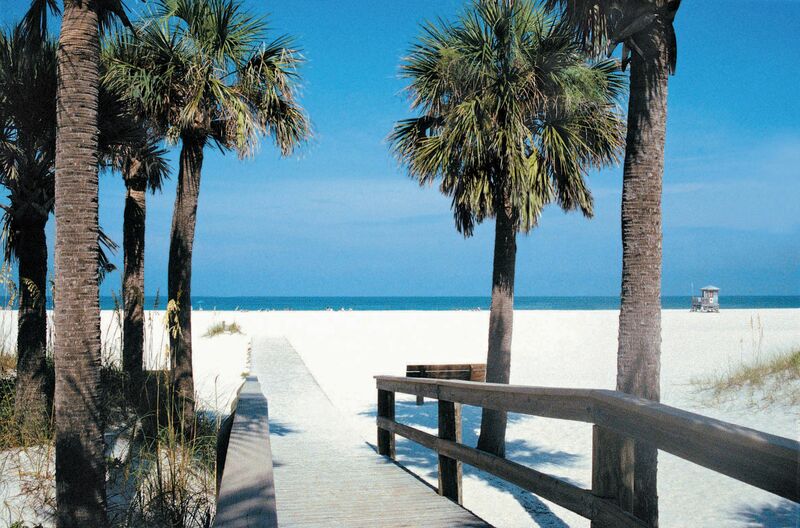 Just south of Clearwater beach, you can find the beautiful Sand Key Park. If Clearwater Beach can be called the movie adaptation of a great book, Sand Key Park should be seen as the book itself. The park has the same beautiful ocean views and tranquil beach breeze, without the business that comes with being the number one beach in the country. Sit back, relax, watch the sunset and get ready for the next half of your journey. Keep going south on Gulf Boulevard and pass over from Clearwater Beach to Indian Rocks Beach, another famed outlet on the western coast of Pinellas County. The culinary paradise, the Salt Rock Grill, has a great bar where you can sit down in the early twilight and knock back some dignified beverages (alcoholic, if you’re of age). I’m talkin’ good old-fashioned vodka-cranberry, rum and coke (Malibu-based, in line with the beach theme) and of course water (stay hydrated, my friends). Ease your way into the night and call an Uber from the bar to carry you forth on your way. During the day, Pier 60 makes a great place to do some fishin’, and we all need some of that in our lives. However, from 7 p.m. to 11 p.m., Pier 60 goes sicko mode. Dancers, stands, lights and music make the pier transform from a boardwalk jutting into the Gulf of Mexico to an other–worldly experience. When you go, you’re sure to see a couple amateur gymnasts with their boombox and a poorly constructed ring of observers ready to get flipped over. Bring some friends and a good attitude and strap in. “What’s better than a yacht tour? An unofficial walking tour looking at yachts you can’t afford to be on,” Loyala University Maryland Freshman Benny Glezer said. 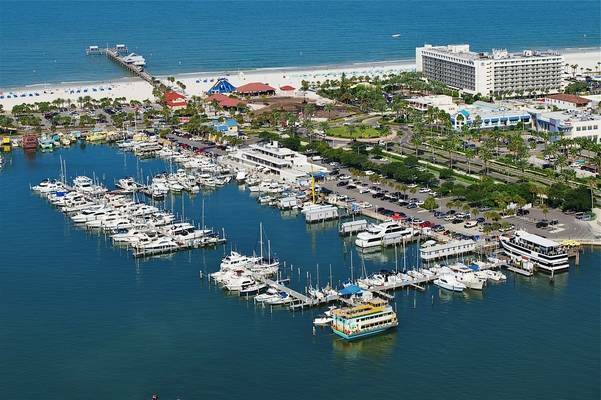 Luckily, in Clearwater, yachts fill up the harbor like bath toys in a tiny bathtub. Not enough for you to actually ride in one, but plenty if your end goal involves looking at the expensive yachts other people get to ride. Looks like Glezer went SICKOMODE on this one. The night has officially begun, and there’s no better way of kicking off a good night than a little beverage called Kratom. Kratom tastes almost like a tea, having properties that resemble some stimulants and opioids. 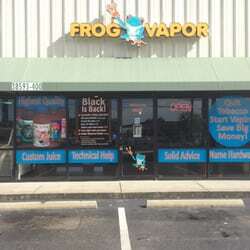 A local shop called Frog Vapor provides a very fair price and a wonderfully chill ambience, complete with Smash Bros and zany young adults, to induct the debauchery that will follow as you enter the night in Clearwater. 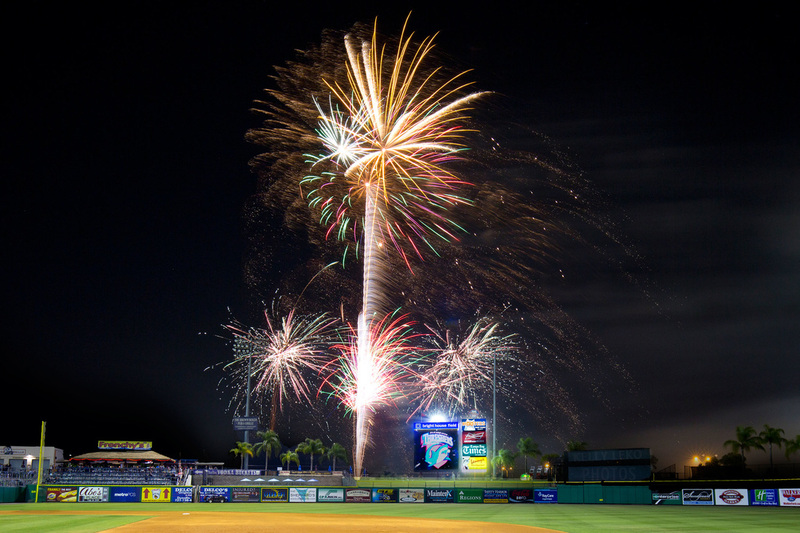 Maybe you aren’t a huge sports fan, but you don’t have to be to enjoy the fireworks at the end of a Threshers’ game at Bright House Stadium. The fireworks go off at the end of most of the team’s night games, just for kicks, and always show a beautiful range of colors and shapes. Either pay to get in if they’re still charging or simply park in the outside lot and admire the colorful eruptions of gunpowder crowding out the stars in the sky. Time to take your day in Clearwater into overdrive. Literally. Drive east on Gulf to Bay through the Clearwater suburbs and towards Tampa. You’ll get to traverse the beautiful Courtney Campbell Causeway, stretching across Old Tampa Bay. The palm trees will stay dimly illuminated by the flickering orange of the street lamps. You’ll catch the freshly paved roads, muting the sound of your tires as you cruise along. The water will move with you and yet not seem to move at all, a body full of motion and still in the eerily beautiful cover of night. 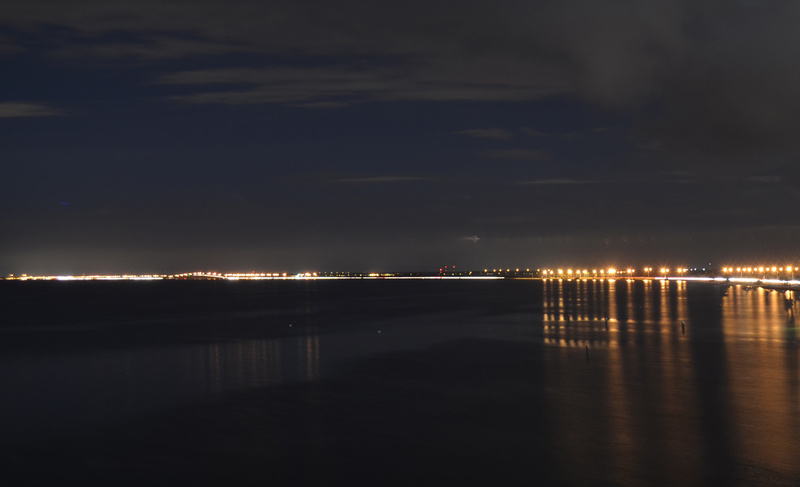 “At 1 a.m., the causeway has a different life completely. Crazy vibes bro,” Benny Glezer said. Ride those vibes out, you’ll need them for the night life. 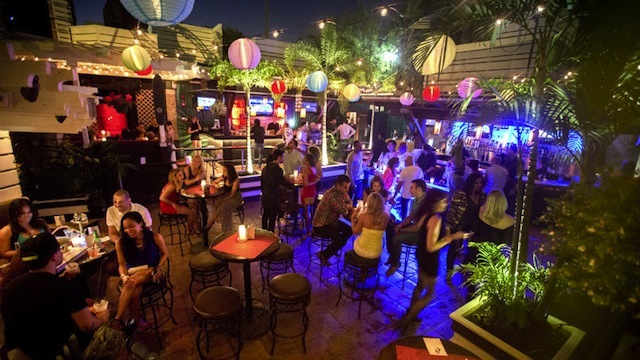 Most of the night time activities in Clearwater can actually be found in Tampa, but we built in a sightseeing drive to get you to the club, so no fear. The Hyde Park Café has become one of the most happening locations to go out in the Tampa Bay Area, probably because a lot of people get lost at 2 a.m. thinking it serves caramel macchiatos like Starbucks. It doesn’t serve coffee, but it does serve fun. Old people have a wisdom that you can’t find anywhere else, but after a day around a lot of older folks the club will be a nice change of pace. You’ll have met some incredible people at the Hyde Park Café and bringing them kayaking at 3 a.m. will be the ultimate flex. Be, then, like one of the visionaries of the modern age, Lil Pump, and flex. Take your newfound friends to Treasure Island, a handsome island a little way south of Clearwater, and go kayaking in the surrounding tranquil water at night to blow off the steam accumulated through the night. 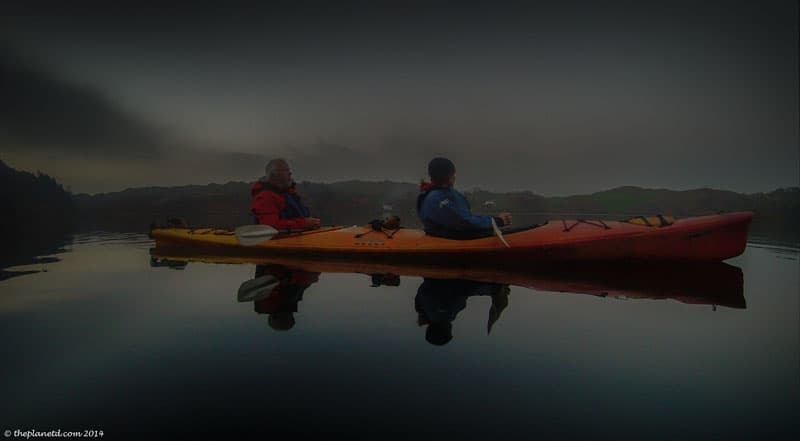 Allow your nerves and stress to dissipate into the reflection of the moonbeams on the glass water, shattered only by the wake of your kayak. What can you possibly have left to do at 4 a.m. in Clearwater? 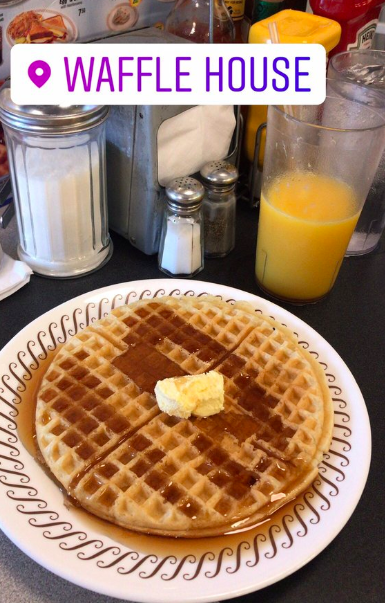 The same pastime that breakfast lovers everywhere find themselves drawn to at this special hour: Waffle House. “There’s no better place in the world,” UF Freshman Cielo Dorcy said. Dorcy, a certified genius, understands one of the cardinal truths of the universe: that at 4 a.m., Waffle House has much more to offer than even your own house. Hashbrown bowls, decaf coffee, drunk old men saying really stupid things about “the war.” It has everything you need. 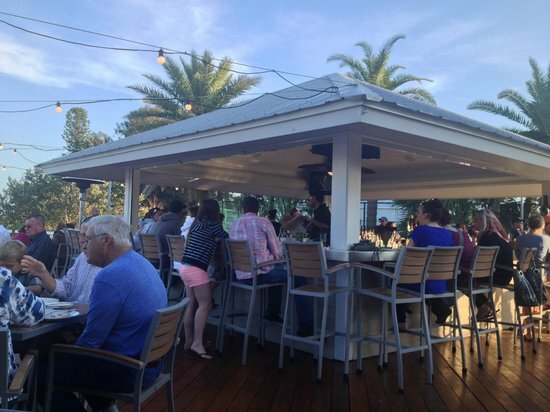 Take your friends and your full stomachs and bring them a little south of Clearwater to the last of the great Pinellas beaches you have left untouched. I’m referring, of course, to St. Pete Beach. 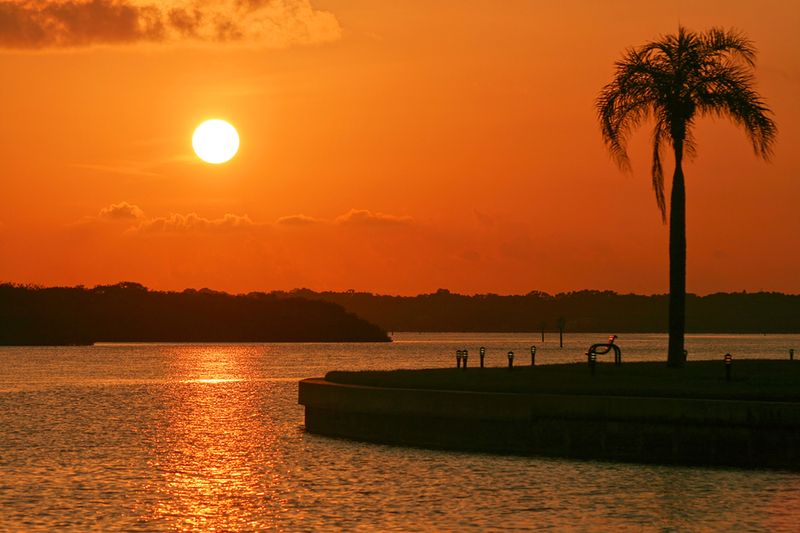 Stop anywhere with a view of Boca Ciega Bay. You know what makes this one great? The sand, the view and most of all the lack of crowds. Settle in. You did it, 24 hours in Clearwater squeezing out more adventure in a day than most would in a month. Be proud of yourself, smile and wait for the sun to return and welcome you into a new day.